To build the user social login system, you have to create an user table. This project requires login and home pages. Login page contains social login buttons and Home page for displaying the user details line name, email etc. Create a services folder inside src and move newly created auth-api service files. This service helps you to communicate with APIs. This funcation contains a http.post method to connect APIs and returns with promise. User data distribution component. This contains all the user data actions like storing user info on local storage and navigating to pages. Create a services folder inside src and move newly created user service files. This service helps you to sharing the data with Pages. Here async and await functions are the new of writing promises. If you want use rxjs observables. 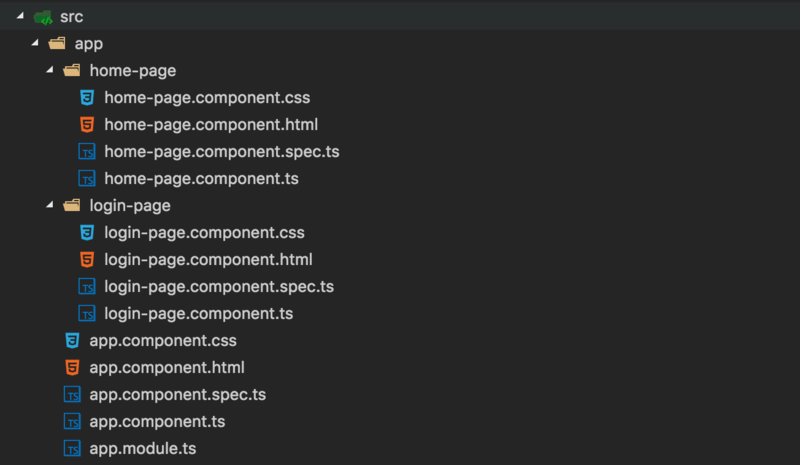 Install an angular social NPM project into project dependencies. Import newly created modules like AuthApiService, AngularSocialLoginModule, etc. Implemented page routing with @angular/router module. For more understanding please visit my previous article Angular 4 TypeScript Google Account Email Login and Routing. Here socialSignin function get the user social details and post request to apiConnection. Once API call is succesful, it will return user inserted data. Using localStorage storing the user data in app level. Created two buttons with click action to socialSignIn with provider value. Home page check the local user data and prints, if not available it will redirect to login page. Logout function clears the local data with social data and it navigate to login page. Printing the user data with logout button. Here the ? operator is an angular safe navigation operator, this will helps to avoid template exceptions while data binding. You need live hosting of testing social login. The Content were very helpful . Just a warning: this code was made using Angular, not AngularJS! They are totally different because AngularJS (up to version 1.5) has been completely refactored and is now called Angular only (without the JS at the end). Other than that, the content is very good, congratulations! Hi Srinivas, Thank you for the post. I am getting error - POST http://localhost/socialapi/signup 404 (Not Found).